Welcome to South Africas premier consumer protection service Most stringent contractor accreditation process in S.A. Request up to three local independant contractors to quote for each project. 1 Call operation centre follows up from quotes to completion. You deal directly with contractors - quotes, pricing and payment Client becomes part of a much larger purchasing group - safety in numbers. Non compliant contractors - blacklisted and removed. 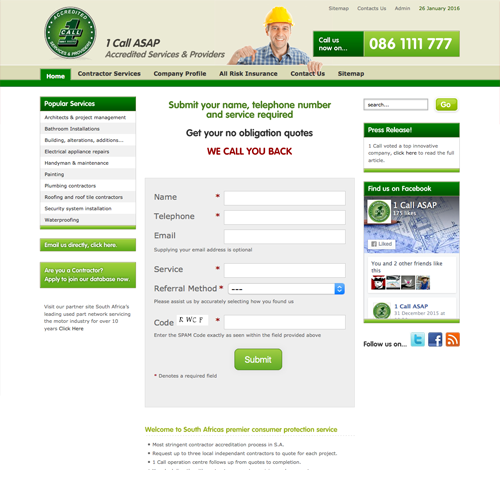 Contractors covered by an all risk insurance for all works up to R200,000 - top up cover available.